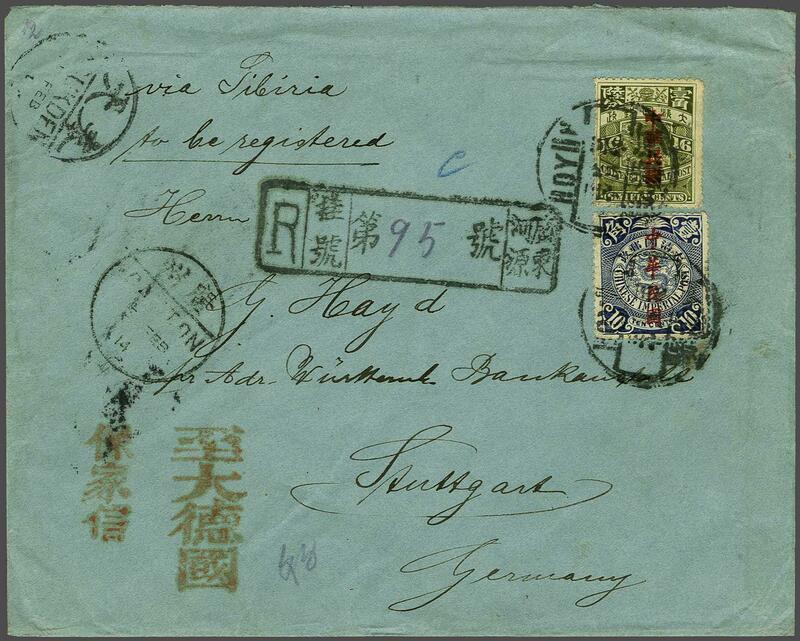 1914: Registered cover to Stuttgart endorsed 'via Siberia', franked by Republic optd. 1912 16 c. olive-green and 10 c. blue tied by Hoyan (Heyuan) cds's with unusual framed registration handstamp alongside, Canton transit cds at left (Feb 3) and reverse with further Shanghai transit cds. 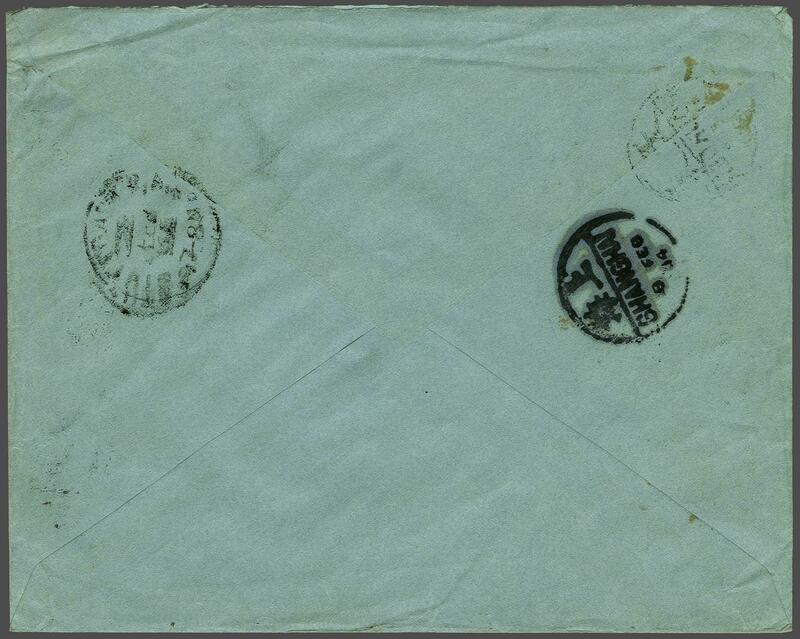 Scarce and attractive cover.